A photo of the Lotus flower that is connected to religions around the world including Tonga. Tongans called the Lotus flower “Lotu” which is the Tonga word for Religion and Prayer. 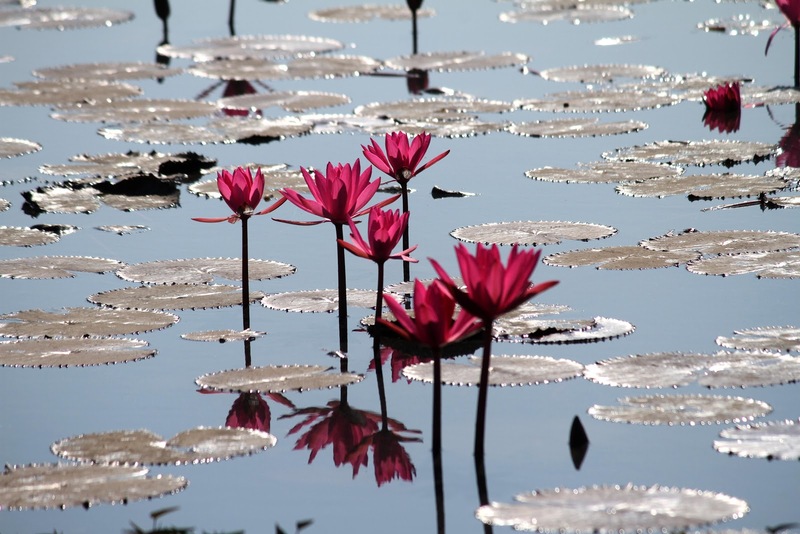 The Lotus plant represented the structure and beliefs of Ancient Tonga. The flower or Langi was where the Ha’a Tangaloa and later the Ha’a Tu’i Tonga lived, the floating leave represented the Lalofonua where the Ha’a Maui and everyone else lived, and the under water/unseen parts of the Lotus represented Pulotu (the spirit world) where spirits of the deceased lived. The Tongan (Polynesian) civilization was organized in tribal/family groups called “ha’a”. One of the main Ha’a or Fale was the “Fale Fa” (Four houses or tribes) which were tasked with performing duties that, in modern governments would be assigned to a legislative body. Each of the Fale Fa was given special stewardship over each of the four aspects of Tongan (Polynesian) life listed (Religious, Political, Social, & Scientific). This article focuses on religion in Ancient Tongan society. The backbone of every civilization in the history of the world has been and continues to be the religious practices of a society. When religious structures and beliefs erode in a civilization, that particular civilization will begin to decline in all other aspects of its society. Religion is generally a way of life based upon belief in things that cannot be physically seen or touched but have significance and impacts the daily lives of the people. The “Lotu” (Lotus) plant is probably the most common plant or flower associated with religion throughout the world. Images of the Lotu plant (Lotus) or flower are found in temples,pyramids and other religious structures in both ancient and modern times. Early Christians in Syria used images of the lotu when depicting many religious events including Noa’s flood and Mose’s miracles. In these groups, Hinduism, Buddhism and Egyptian, they believed the lotus flowers represented love, rebirth, beauty and purity. This was because in many religions throughout the world, the lotus flower was a symbol of those with deep religious beliefs. Tongans were very religious and still are today as about 99 percent of Tongans are Christians. The Christians first arrived in Tonga in 1797 with the London Mission Society (LMS) missionaries. One of these missionaries was George Vason. He wrote a book about Tonga at the beginning of 1800’s. He wrote that Tonga already believed in life after death and the existence of a spiritual world before these missionaries arrived. In Tongan, the word “lotu” or “loto” was used to refer to both religion and prayer. It is also the word used to refer to the lotus plant/flower. This is the origin of the nickname of the village of Folaha, ”Lotukaiano” or “Lotokaiano.” This is partly because of the many lotu plants found in the swampy areas around Folaha. “Langi” is where the Tangaloa family lived before 500 A.D. This dwelling place used to be the highest point on the island of Tongatapu until the government crushed the rocks in the area for construction. 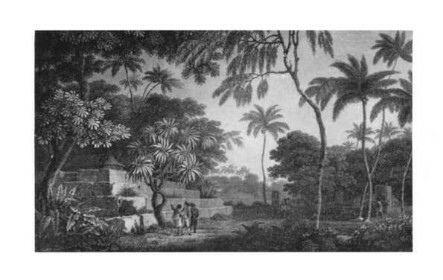 The compound was called “Tapuhia” signifying that crime was absolutely forbidden due to the sacred nature of the Tangaloa Compound. There are also other designated areas surrounding the compound that we will discuss in future articles. The compound where Maui and his family lived (before 500 A.D.) was called “Lalofonua”. Maui lived here as it was the highest point on the eastern side of the island. This area is commonly referred to as “Ha’a Maui” which means Maui’s tribe/family. Maui named several land marks and features after important events and ancient navigational knowledge. These names an their significance will be discussed in a future article. In early Tonga (Polynesia) the origin legend of Tangaloa is that he lived in “Langi” which is now referred to as Tapuhia (where crime is forbidden) and located between Vaini and Folaha, with the “Lotu” nearby. Maui lived in “lalofonua” which is located near the swamp by Navutoka and Manuka where lotu (lotus) grows. Hikule’o then lived in the Spirit World (Pulotu), where the spirits went after death, which is located where the sun sets in the sky. The lotus plant symbolized each of these places—the flower was Langi (above the water), the leaves lalofonua (on the water) and the unseen roots is Pulotu (under the water). This origin legend of the Tongan (Polynesian) story misled historians in their translations of langi to be only sky, lalofonua to mean only under the land, and Pulotu to be a place in Fiji. Langi in Tongan was where the Tangaloa family used to live in Tonga. When the kingly title changed from the Tangaloa to the Tu’i Tonga line of kings, the word Langi now was the place where the Tu’i Tonga lived from the time of ‘Ahoeitu, the first Tu’i Tonga, in 450 A.D. to the last Tu’i Tonga Laufilitonga in 1865. There is no “langi” anywhere in Polynesia except Tonga. Lalofonua is where the tribe of Maui used to live in Tonga. This place is known today as Ha’amaui (Maui’s tribe). Pulotu is where the sun sets to the West, and no one lives there as only the spirits that have left this world which is equivalent to heaven and hell in the Bible. When Christianity arrived in Tonga, their traditional religion was referred to as “Lotu Mu’a.” or the first Tongan religion. “Lotu Fo’ou” or “Lotu Mui” was referring to Christianity or the new religion in Tonga. The Lotu Mu’a believed that Pulotu was located where the sun sets. In the “Lotu Mu’a” (traditional religion first in Tonga), it was believed that Pulotu had two parts: Pulotu Tu’u Ma’u and Pulotu ‘Aka’aka. The Lotu Mui also believes in two different parts of Pulotu called heaven and hell. The God of Pulotu in Lotu Mu’a was Hikule’o who was one not seen but was only a voice one heard. The God of the Old Testament also in the New Testament was often referred to as only a voice heard by all the prophets in the Bible. In Tonga, there are many places that refer to Pulotu’s land of the departed. Tongan (Polynesian) people described the two Pulotus for what they know best which is the ocean. There are two places that represent Pulotu ‘Aka’aka (unsteady/unhappy Pulotu), and there are also two places that represent Pulotu Tu’u ma’u (steady/happy Pulotu). The two Pulotu Tu’uma’u steady Pulotu are in both Lapaha and Kolovai (Tongatapu island) have waters that are relatively calm and peaceful like heaven in Christanity. An Ancient Tongan Langi (Earth Pyramid) in which the Tu’i Tonga’s lived when the title of Tangaloa was replaced by Tu’i Tonga. Langi’s were initially built to be the residence for the rulers in Tonga. At the death of the ruler the Langi is converted into the burial site for family. This picture illustrates the use of Langi’s as a burial grounds to this day. This sketch by an early European visitor of the Tongan Langi. You will see at the top of the sketch that there is a house on the top of the Langi. As shared Langi’s are initially built for a residence and at the death of the resident becomes a sacred burial ground. The two locations for Pulotu ‘Aka’aka were in Ha’afeva (Ha’apai islands) and Koloa (Vava’u islands.) Both locations are known for rough and roaring seas, symbolic of the pain and the lack of peace for those who are in Pulotu ‘Aka’aka just as hell in Christianity. Polynesians have described Pulotu, the spirit world, in many different ways; and all these stories and descriptions have made it difficult for the western historians with no real understanding of Polynesian history, language, and religion to find where the Polynesian Pulotu is. Early Europeans did not realize that this place is the same as the Christian heaven and hell, a place that is not physically located on the earth but a place where the spirits of the deceased go to enjoy peace/joy or pain/suffering. The Lotu (religion) is referred to as the “True Law” and “Good Law” by Buddhists and Tongans. I believe one of the reasons Tonga has never been colonized by a foreign power is because Tonga has always had the Lotu Mu’a which was practiced before Christianity and it missionaries arrived in Tonga. One of Tongan Lotu Mu’a Taula (priest) was Kautai. Taula Kautai raised Taufa’ahau the first Christian King of Tonga in the ways of the Lotu Mu’a. Taufa’ahau (Tupou I) was circumcised (circumcision another practice that connects the Tonga’s Lotu Mu’a to Ancient Christianity) according to the tenets of the Lotu Mu’a, well before he converted to the Lotu Mui in the late 1830’s. These tenets of the Lotu Mu’a (Ancient Tongan Religion) and their similarities to the Lotu Mui (Christianity) empowered Taufa’ahau and eventually all of Tonga to rapidly convert to Christianity and thereby keep this important aspect of a civilization (religion) intact in their society. The new knowledge that Lotu Mui (Christianity) brought to the Lotu Mu’a (Ancient Tongan Religion) in Tonga was that one does not need a Taula (priest) as a middle man between a person and Hikule’o (God). When one desires to talk to Hikule’o (God) one can lotu (pray) directly to Hikule’o any time through lotu (prayer or worship). The Tongan civilization and kingdom still stands today because of the people and the practices of Tongan society. Their application of their political, social and scientific understanding has contributed a lot, but it is their implementation and understanding of religion and it practices that has made its greatest contribution to Tongan (Polynesian) development. They brought traditional religious beliefs with them to Tonga from the east also known as the Americas and recognized and accepted their new religion because of its connection/similarity with their ancient knowledge and practices. The Tongan Empire started from when they settled all the Polynesian islands during the time of the Tangaloa well before ‘Aho’eitu, and the Tu’i Tonga has existed from Tu’i Tonga Aho’eitu (450 A.D. according to my current research) until Tu’i Tonga Laufilikitonga (1865), and from Tupou I (Taufa’ahau) present-day Tonga, under Tupou VI. A primary factor in Tonga being able to maintain its independence because of its maintain a strong and vibrant Lotu (Religion) from the Lotu Mu’a (ancient Tongan Religion) and transition to the Lotu Mui (Christianity) of today..
is the lotus flower native to tonga? and why? Just read up on other ancient meanings of the lotus and it makes sense for Tongans to have that ultimately good way of life sure there are bad apples in all societies. With our seafaring prowess and many random theories on our origins our people could have easily adopted the way of life from thousands of years ago as we mixed with other ancient cultures.